Everyone knows Jamaica as the home of Bob Marley and as the honeymoon capital of the Caribbean, but there's more to it than just Reggae and romance! The third largest island in the Caribbean has everything: wonderful white-sand beaches, the magnificent Blue Mountains, waterfalls, wildlife, grand old plantations and, of course, great coffee. 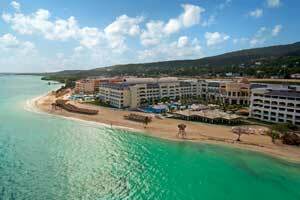 Jamaica is also famous for its outstanding all-inclusive resorts, most of which are virtually self-contained beachfront vacation villages with an abundant array of included amenities and dining options. 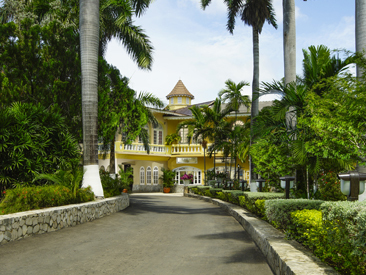 Jamaican hotels come in all shapes and sizes, from ultra-exclusive, award-winning resorts to lively hotels with high-energy "entertainment staffs" that will keep you hopping all day and night. You'll find Jamaican hotels that cater to couples only, some that are designed with families and children in mind and some that welcome all ages to just kick back and relax on the beach with a good book and an umbrella drink! 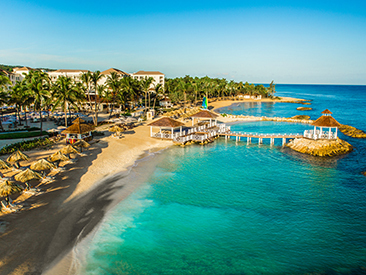 The main beach resort areas are Montego Bay, also known as Mo Bay, Jamaica's second largest city; Negril, boasting one of the longest beaches in the country and Ocho Rios ("Ochi"), on the North Shore, where you'll find the "real" Jamaica. 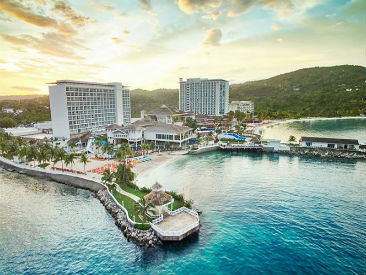 With its "Hip Strip" booming with shops, restaurants, clubs, championship golf courses, lavish resorts and legendary Colonial great houses, Montego Bay's juxtaposition of natural beauty and man-made luxury make it a wonderful destination choice for all ages. The translucent water is known for its high mineral content and the famous white-sand beach is clean and inviting. Mo Bay’s picturesque historic estates preserve the legacy of a bygone era. Montego Bay is a vibrant tourist area where visitors can enjoy all manner of activities including ATV bike tours, rafting on the Martha Brae, tennis, sailing, swimming, surfing, diving and shopping. Golf is a huge draw, especially since the area boasts five world-class championship courses including the famous White Witch Golf Course in the Rose Hall Plantation, Cinnamon Hill Golf Course, The Tryall Club, Half Moon Golf Club and Ironshore Golf & Country Club. Founded in 1906, Doctor's Cave Beach Club is nestled between the Marine Park and the Hip Strip. 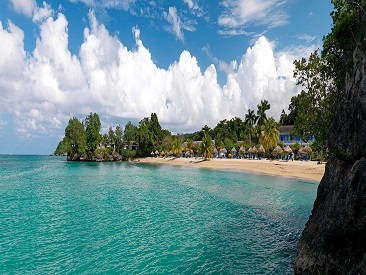 From the natural beauty of its waterfalls, rivers and beaches, to the grandeur of its all-inclusive resorts, Ocho Rios, located on Jamaica's northern coastline, is a favorite destination for all types of travelers, including eco-tourists, families, sports buffs, beach bummers — even rock stars like Keith Richards. In addition to its beautiful beaches, Ocho Rios offers a plethora of activities such as horseback riding, polo, golf, tennis, shopping, scuba diving, deep-sea fishing and swimming. Join the fun on an excursion to the world-famous Dunn's River Falls, one of the most beautiful spots on the island. Climb the falls accompanied by a guide or relax on the beach below. Adjacent to the falls is Dolphin Cove, where visitors can swim with a family of bottlenose dolphins. Sail around Ocho Rios on a catamaran cruise and dance to Reggae and Soca music. To the east lie the impressive Blue Mountains, 7,402 ft. above sea level, where visitors will discover breathtaking scenery, quaint villages, sparkling rivers and the tantalizing aroma of Blue Mountain coffee. A long-time favorite destination for families and honeymooners, Negril, on Jamaica's picturesque west coast, is lined with towering cliffs and bustling beaches, and is home to many world-class all-inclusive resorts as well as nightlife hotspots. Negril is a stunning, laid-back hideaway that is not only astoundingly beautiful but boasts a pristine environmental ambiance, featuring the famous seven-mile beach with majestic cliffs to the West. Take a tour through the town of Negril, pass the ruins of the three-hundred-year-old great house, and stop at the Harrison’s Spice farm and herbal gardens. Then visit the Negril lighthouse and finish up at the ever-popular Rick’s Café for the incredible sunset. Every afternoon, locals and visitors alike take part in a Negril tradition since 1974 and flock to Rick's on West End Road to watch the sunset, enjoy the happy-hour vibe, savor scrumptious Jamaican delicacies and test their bravery by cliff jumping. The beautiful scenery, the wide variety of hotel choices, the friendly spirit of the people and, of course, the music all contribute to Jamaica's popularity and world-wide appeal. Please Note: All United States citizens are required to have a valid passport to re-enter the United States. Jamaica requires that the passport validity date must be at least 6 months from visitor's departure date from Jamaica. Enjoy a uniquely Jamaican, first class VIP lounge experience and premium Jamaican hospitality in a dynamic environment of exhibits and audio-visual presentations showcasing the best of Jamaica. Take some time to relax in comfort prior to your departure flight and get “fast-tracked” through the airport to your departure gate. A one-time Club MoBay membership of $30 per adult ($15 for kids 2-12) is available for purchase at time of booking. Minimize the travel stress, enjoy a warm "irie" welcome and no lines upon arrival and departure both! In accordance with Jamaican law, smoking is not allowed in the rooms including balconies, restaurants, bars or public places at any resorts. Assigned designated smoking areas throughout the resorts are available. Please Note: There is no longer a smoking lounge available beyond security check points and immigration. 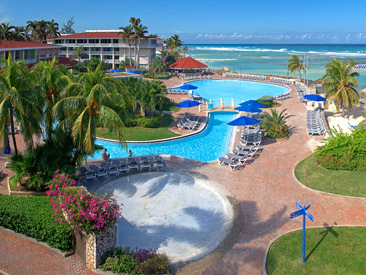 Holiday Inn Montego Bay is a beach front resort, located just seven miles from downtown Montego Bay. 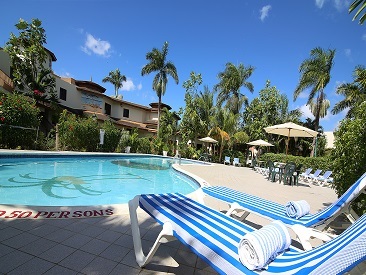 An active resort within the historic Rose Hall Plantation, this is a a perfect vacation spot for families, singles and couples seeking a trip immersed in fun and culture! 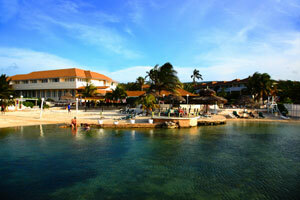 Toby's Resort is a charming, family-owned hotel, located near the white-sand beaches of Montego Bay. 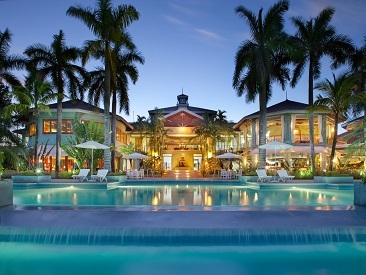 Happily situated on the "Hip Strip" of Jamaica, this resort is the ideal choice for budgeting travelers or returning guests who want to experience the area's unique culture. 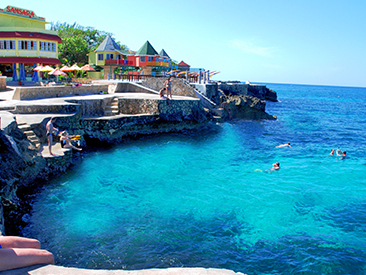 Come and get away from it all in the laid back town of Negril, Jamaica. World renowned for its 7 miles of white sandy beaches , local cuisines and the melodious sounds of Bob Marley, Fun Holiday Beach Resort features 45 rooms ideally placed in the midst of it all. 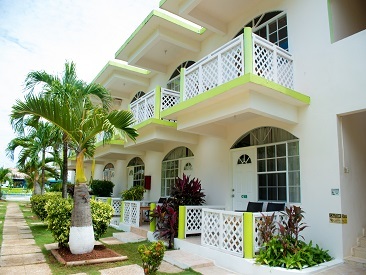 Moderately priced boutique gem nestled at the base of a lush green mountainside with a cozy charm and an ideal "in-town" location, just steps away from the legendary Doctor’s Cave Beach Club on Montego Bay's "hip strip". The all-inclusive Mangos Jamaica Boutique Beach Resort is an adults-only, boutique resort where guests can experience a Naturally Jamaica stay featuring unique, modern amenities combined with true Jamaican feel, rich with the culture and personality of the beautiful island. 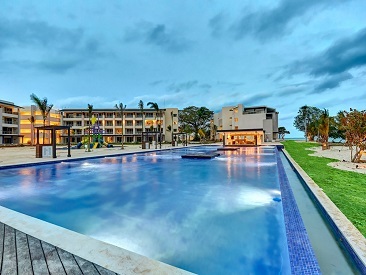 This boutique resort is perfect for a relaxing getaway with full service spa, large stretch of white sand beach, freeform swimming pool and an adults-only environment. 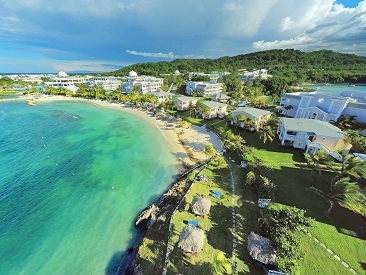 Located just across the street from the beautiful Montego Bay beaches and five minutes from Montego Bay Airport and downtown Montego Bay, SeaGarden Beach Resort boasts breathtaking views, 140 rooms, 3 restaurants, 4 bars and lounges, and numerous activities for families, couples, and friends to enjoy. 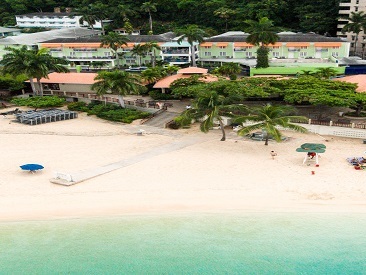 Intimate, budget-friendly all-inclusive beachfront resort for adult couples and singles located near Runaway Bay with casual, laid-back ambiance that inspires fun, active days and lively nights. Pool, 2 restaurants, lively bars and 3 beaches (one clothing optional). Samsara Cliff Hotel is a boutique style oceanfront hotel located on the cliffs of Negril set in 5 acres of lush tropical gardens with spectacular views of the sea and the famous sunset. 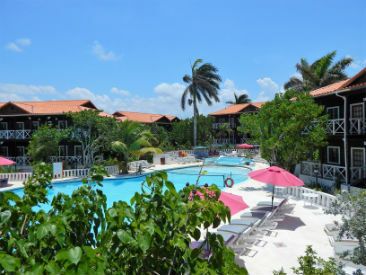 They are a full-service Negril hotel with swimming pools, restaurant, bar, spa services, sun terrace, PADI scuba center, tennis court and games room. 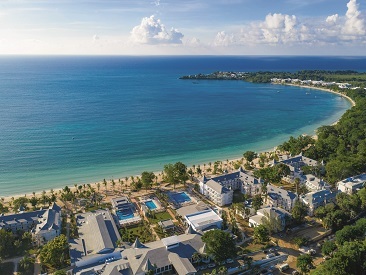 Sandy Haven Resort is a beachfront adults-only, luxury boutique hotel, offering a European plan located on a seven mile stretch of beach in Negril, Jamaica. Guests can sit and relax by the pool in sun loungers with a signature cocktail, take a walk on the beautiful white sand beach or enjoy premium amenities available in each guest room. 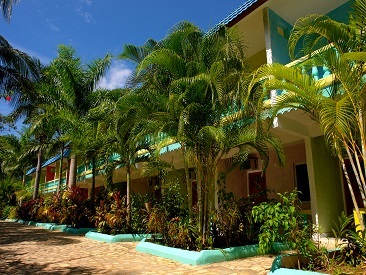 Oceanfront boutique style hotel, located on the beaches of Negril. Set on 5 acres of lush, tropical gardens with spectacular views of the sea and Negril’s spectacular famous sunsets can be seen nightly hanging out at their beachfront bar sipping a cocktail. The perfect all-inclusive choice for families! With activities for the whole family inlcuding Pirate's Paradise Waterpark, 24-hour access to food and beverages and endless land and water activities. 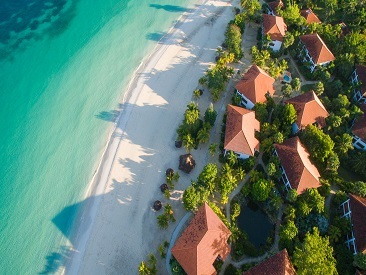 Exciting all-inclusive resort for all ages located on Negril's most stunning beach, beautiful Bloody Bay beach, considered one of the finest beaches in the Caribbean, with water sports of all kinds. This island oasis offers a wide variety of activities and deluxe accommodations in a beautiful, beachfront setting. With an on-site spa and golf nearby, it is the ideal vacation destination for families, couples or singles. 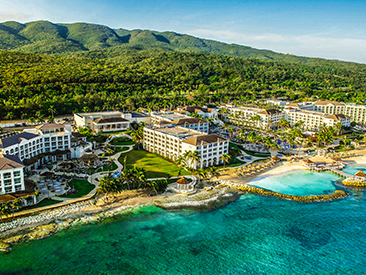 Bring everyone closer together at this upscale all-inclusive oceanfront “all-ages” resort. Boasting Jewel Lagoon waterpark, 268 rooms to butler-serviced suites, some with plunge pool, superb dining options, three pools, supervised children’s club and teen lounge, laser tag, archery, fitness center, tennis, non-motorized watersports, complimentary green fees at the 18-hole Runaway Bay Golf Club, optional full service spa and more. 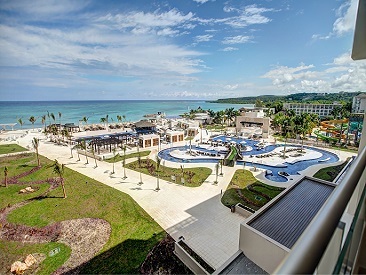 Grand Palladium Jamaica Resort and Spa is a beach front, family-friendly, all-inclusive getaway, featuring 5 pools, 10 restaurants, 17 bars and much more! The 'Stay at One, Play at Two' motto allows guests staying at the Grand Palladium Jamaica have access to all facilities of the Grand Palladium Lady Hamilton. 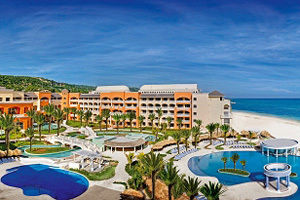 Beachfront all-inclusive resort with adults only section, 5 pools, 10 restaurants, 17 bars. Stay at One, Play at Two. Guests staying at the Grand Palladium Lady Hamilton Resort and Spa have use of the facilities of the Grand Palladium Jamaica Resort and Spa. 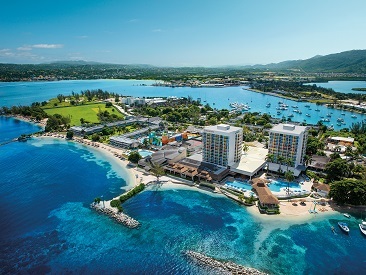 Sunscape Cove Montego Bay is an all-inclusive, all-Sun Club, beachfront resort located near Jamaica’s fully underwater national park, Marine Park. 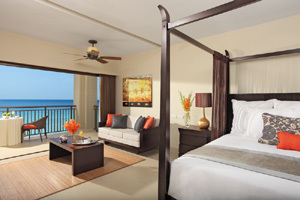 The resort offers guests a fun-filled, Unlimited-Fun®, Caribbean island vacation. Jewel Resorts’ most-inclusive adults-only oceanfront resort in Runaway Bay boasts 225 rooms to butler-serviced junior suites, three pools including swim-up bars, 7 superb dining options, premium liquor, nightclub, complimentary greens fee and transfers at nearby Runaway Bay Golf Club, popular tours and excursions, Fit-Trail®, fitness center, watersports, tennis, optional full-service spa, complimentary resort-wide WiFi and more. 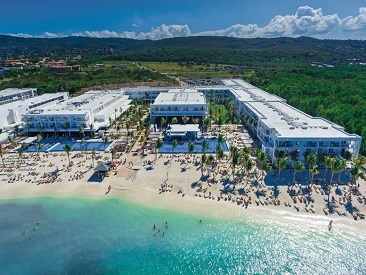 The new Riu Reggae is an all-inclusive adults-only hotel located right on the beach and surrounded by incredible nature in Montego Bay, Jamaica. This hotel is perfect for couples and friends to get away with a variety of services and activities, a fitness center and spa. Guests can stay entertained and active throughout their stay with endless options including tennis, scuba diving, infinity pools, kayaking plus the hotel’s activity program. Set picturesquely on the legendary Rose Hall Plantation this all-inclusive oceanfront resort features breathtaking views, 495 luxurious guest rooms to suites, superb dining options, waterpark, non-motorized watersports, kids club, teen zone, optional full-service spa and championship golf nearby, over 41,000 sq. ft. of meeting and event facilities, memorable wedding and honeymoon packages and more, making this resort ideal for all. 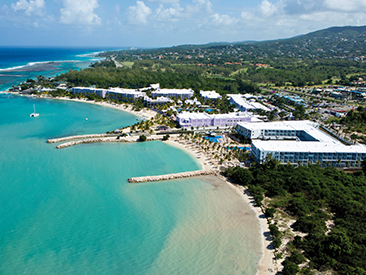 Jamaica’s premium all-inclusive adults-only oceanfront resort, located just moments from Dunn’s River Falls, is perfect for friends, couples, weddings, honeymoons and groups. 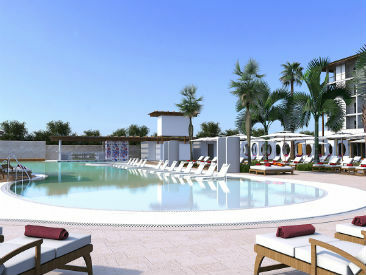 The resort features 250 guest rooms to butler-serviced suites, two pools, superb dining options, seven bars, complimentary greens fees at nearby Runaway Bay Golf Club, an 18-hole championship course, nightclub, tennis, fitness center, watersports, plus optional full-service spa. 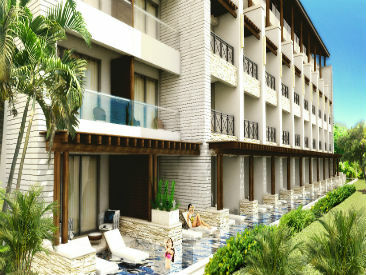 Experience All-In Luxury® at the 352-room Royalton White Sands; an exclusive family and couples oriented hotel. The All-In Luxury® concept is devoted to providing guests with a unique experience, combining exceptional service with an incredible attention to detail, taking you to a fun-filled paradise. 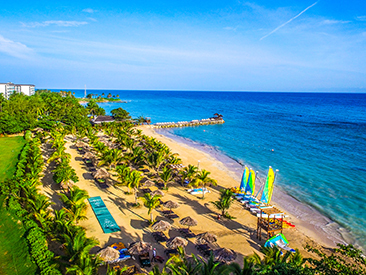 Conveniently located in Montego Bay and situated on a powdery white-sand beach and crystal-blue waters, this is the perfect location for your next Jamaican beach vacation! 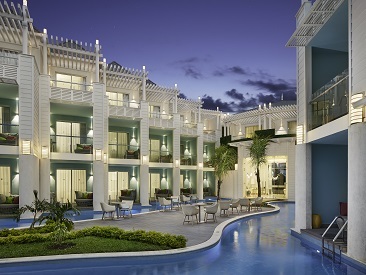 Completely updated, the all new Riu Palace Tropical Bay, located on Negril's Bloody Bay, reflects the luxury, comfort and impeccable service of RIU's Palace brand. Enjoy exchange privileges with neighbor resort Riu Negril. 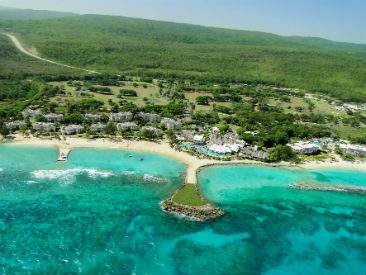 Jamaica's original all-inclusive resort captures the essence of old-Jamaica charm with lush, tropical splendor; just five miles from Ocho Rios; includes golf, tennis, scuba, free tours and tons of water sports. For couples only (18+). Free weddings! 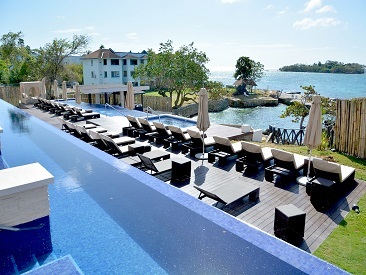 The Royalton Negril offers a luxury, family style resort with close attention to detail and top quality service. Guests are greated with a chilled cocktail to set the tone for a perfect vacation. Families can take advantage of the age-appropriate activities offered throughout the resort to keep kids entertained including supervised Kids Clubs, on-site splash pad and more. 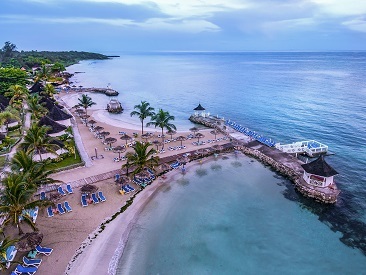 Hideaway at Royalton Negril is an all-inclusive, adults-only hotel within a resort where guests can enjoy breathtaking views of the beautiful ocean beyond a lush coastline. Hideaway is designed for adult travelers who desire an exclusive All-In Luxury® experience, offering elevated privacy, enhanced quality of service and complimentary extras. Sophisticated and stylish, Hyatt Zilara Rose Hall is an indulgent escape for adults (18+) seeking refuge from the rigors of the outside world. Attentive service at every turn assures each guest of a harmonious, hassle-free vacation filled with gourmet cuisine, expertly poured cocktails and enough memories to last several lifetimes. Tucked between the rising peaks of Jamaica’s famous mountains and the rippling waters, Hyatt Ziva Rose Hall is a paradise of rest, relaxation and recreation. From gourmet cuisine and accommodations to thrilling sports on land and sea, it’s an experience every member of the family will love! The Melià Braco Village is an all-inclusive, family friendly resort located next to beautiful white sands of Trelawny, Jamaica. 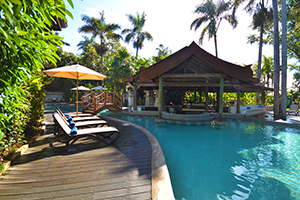 This resort is perfect for families and couples looking for a relaxing vacation on the beach offering a selection of private beaches and freshwater pools. The charming, all-inclusive Sunset at The Palms, in laid-back Negril, features unique treehouse-style bungalows, lush grounds and is just across the street from a stretch of private white-sand beach. An excellent value for couples, as this is an adults-only (18+) hotel that was just named part of TripAdvisor's Certificate of Excellence Award Hall of Fame for five years of exceptional service! Celebrate Jamaica-Rama each night of the week from May - October 2018! Guests can partake in an experience for the senses, whether it be open table dining, cocktails, spa specials, swim-up movies and more. Couples Sans Souci is carved into the cliffs overlooking the sea with natural mineral springs, hidden grottos and breathtaking natural beauty. The ultimate couples only (18+) romantic resort; renowned cuisine, world-class spa and an abundance of complimentary activities. 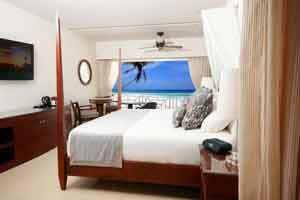 If you are looking for relaxation and tranquility, the 238 room Riu Palace Jamaica is the right place for you. As an Adults Only hotel (18+), you can enjoy a wide range of leisure activities, such as lounging in the fresh-water pool, grabbing a nice, tall drink at the chill out bar on the beach, drifting away in the jacuzzi or sauna, staying fit at the gym and wellness center or pampering yourself at the 'Renova Spa' with different treatments and massages. 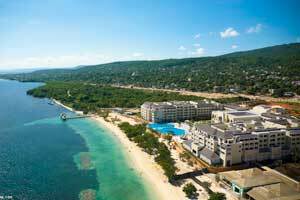 Jewel Grande Montego Bay Resort & Spa is a luxury, family resort located steps from the Caribbean Sea in beautiful Jamaica. 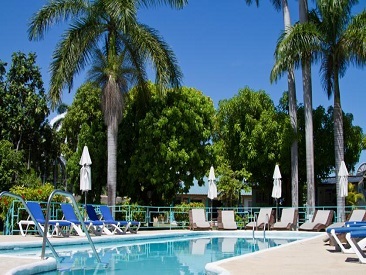 Just 15 minutes from Sangster International Airport, this beautiful hotel includes two oceanfront pools, a full-service spa, butler service and superior amenities in every room. Choose a beautiful junior suite or a one, two or three bedroom villa, all with view of the ocean. Located on one of Jamaica’s most beautiful beaches, Azul Beach Resort Negril by Karisma boasts luxurious, family oriented accommodations, world-class cuisine, engaging kids and teens programs, and secluded spaces just for adults. 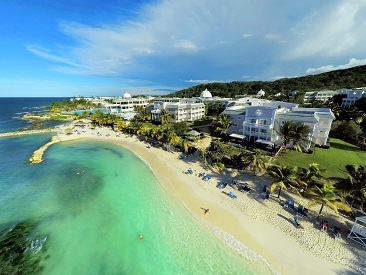 Excellence Oyster Bay is a beachfront, all-inclusive adults-only resort in a tranquil area of Montego Bay. Excellence Oyster Bay is designed to bring harmony between hospitality and nature between lush-green mangroves and a private white-sand beach. 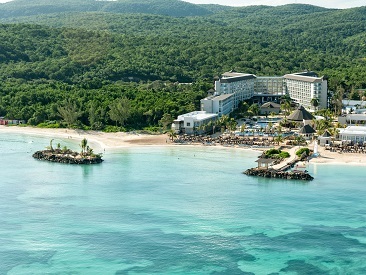 Royalton Blue Waters is an all-inclusive, luxury resort on the pristine beaches of Montego Bay, Jamaica. The All-In Luxury® concept offers elegant amenities along with entertainment to create a truly unforgettable experience. Royalton Blue Waters includes fun for the whole family with activities and clubs for kids ranging from ages 4 to 17. 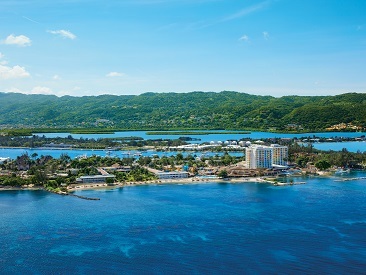 The brand new Breathless Montego Bay Resort & Spa is an all-inclusive, adults-only resort situated on the pristine beaches of Montego Bay. This resort will offer guests the perfect adults-only escape with around-the-clock entertainment and Unlimited Luxury® where everything is included. Choose from seven delectable dining options including four à la carte restaurants, a buffet, a grill and a café plus no reservations required and 24-hour dining options. 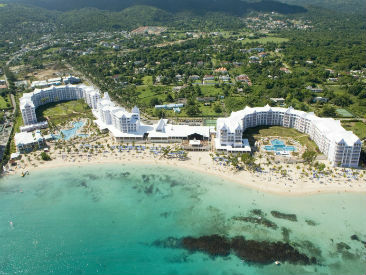 Moon Palace Jamaica is a family-friendly, smoke-free resort, featuring 705 spacious rooms, most of which have beautiful ocean views and balconies. Enjoy 4 pools + a kid's pool, a pristine white-sand beach, a FlowRider Double Wave Simulator, spa facilities & much more to entertain the whole family! 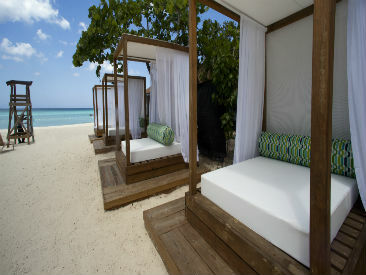 Located on Negril's seven-mile beach, for couples only (18+) with spacious Caribbean-style suites. Enjoy 10-acre sports and fitness complex with 10 tennis courts, squash, gym, lap pool and more! Free golf, tours and scuba diving! Couples only (18+) all-inclusive resort located on 18 acres of lush gardens with sweeping views of the Caribbean sea and chic Jamaican decor throughout the resort. Offers luxury, romance and relaxation and includes free golf, tours and sunset cruises. 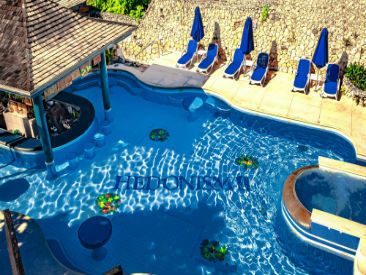 One of the most widely recognized all-inclusive resorts in the world, Hedo II at the tip of legendary Negril Beach is the ultimate pleasure escape! High-spirited fun everywhere you turn for playful singles and couples (18+). Let your hair down, unwind, have a blast! 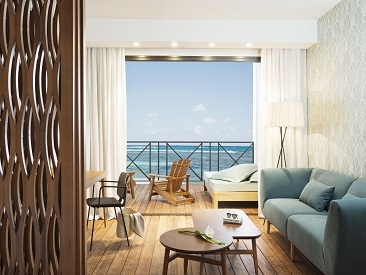 The AAA Four Diamond Award-winning, all-suite Secrets Wild Orchid Montego Bay is one of two adults-only, Unlimited-Luxury® resorts that combine to create Secrets Montego Bay. Its contemporary design reflects the unique island surroundings with warm neutral tones and indigenous art and full access to the elegantly traditional Secrets St. James. Grand Lido Negril is an all-inclusive adults-only (21+) boutique hotel that is located in the beach resort town of Negril. At Grand Lido, naturalists are free to enjoy themselves in a modern luxury, clothing-optional setting that is private and right by the ocean. 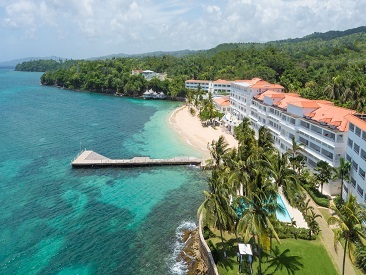 Jamaica Inn is a boutique beach hotel located on a picturesque cliff-side oasis with the natural gardens and forest of Ochos Rios. This timeless hotel offers a serene escape away from the stress of daily life with luxury amenities, chef-curated cuisine and secluded spots where you can unwind. 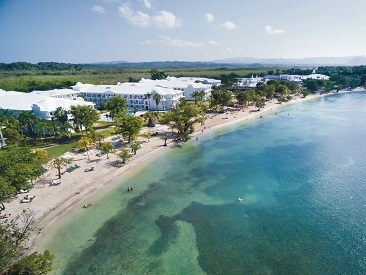 Affordable family-friendly resort located in Runaway Bay on Jamaica's North Coast features 500 yards of fabulous beachfront. Non-motorized water sports and a host of land activities for all ages are included Both buffet and a la carte dining options are available.